If you follow popular fad diets, your body may not be getting the proper nutrition it needs. Fad diets promise quick weight loss, but most people find that they gain back the weight they've lost and more. The following popular fad diets have enticed thousands to forgo nutritional common sense. See if you can spot the nutrition problems in each of them. Not for the faint of heart or those with a sensitive sense of smell, the cabbage diet is described as gas powered. People that try this diet will definitely see results quickly, but there is no long-term weight loss to be gained by following it. Individuals can eat as much cabbage soup as they desire, and on certain days they can indulge in a little protein. 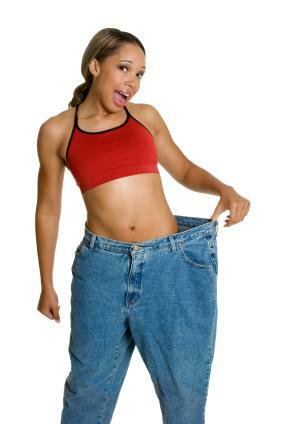 On average people lose 5 to 10 pounds, which is largely through the colon cleansing effects. Who wouldn't want to go nuts and enjoy chocolate as a diet food? The chocolate diet has a few problems, namely the monotony of only eating fruit, popcorn, pasta and fresh veggies. It is important to note that the only chocolate you'll be eating is the 1-ounce of chocolate in the evening. Once again, protein is missing from this diet. Another diet designed to lure a certain group of people: those who love a cool glass of lemonade. The diet is relatively simple: make lemonade out of fresh lemons, maple syrup, cayenne pepper and water. Drink this concoction, and only this, for 10 days. If you don't pass out from dehydration you will have enjoyed an 8-10 pound weight loss. There are too many problems with this particular diet to enumerate. Kick off each meal with a half a cup of grapefruit juice. Follow this with a healthy helping of meat prepared any way, fruits and salads. You are also encouraged to use generous portions of mayonnaise and butter in your preparation of the foods. The grapefruit diet is sometimes known as the "mayo diet" because of this. Dieters should follow the meal plan exactly for 12 days then stop for 2 days then repeat the process. The main problem with this diet is the high amount of fat that the users are encouraged to eat. Starches and whole grains are not allowed. The grapefruit juice may also cause stomach problems for the duration of the diet. You've seen it on television, now you can copy the Hollywood Diet in the convenience of your own home. This juice diet is comprised of an assortment of fruit juices, bilberry, grapeseed and green tea extracts, ginko biloba and fructose. All you have, four times a day, is this juice and a little water. At only 400 calories a day, you are sure to lose weight as well as some of your mental faculties from dizziness. The big problem with this diet is the lack of calories, which any sensible adult would realize is detrimental to their health. Just like the name implies, this diet focuses on one good meal for dinner each day. For breakfast, enjoy coffee and toast or a cracker. At lunchtime you may enjoy a portion of protein and a vegetable or salad. At dinner you should have a meal with no more than 500 calories. Basically, you are on a diet where you only consume around 1,000 calories a day. For women, this is approximately 1,200 calories less than what you should be consuming to remain healthy. Is it possible to lose weight by just following the food pyramid? The answer is yes, especially when coupled with some form of exercise based on a person's ability level. Your body needs items found in each of the particular food groups in order to remain healthy and to function properly. Denying your body the nutrition it needs will wreak havoc with your insulin levels and increase mood swings. This will make you more likely to gain weight after you stop a fad diet and in most instances, cranky as well. It is better to follow a sensible diet than to stress out your body with a popular fad diet.